FM Brush is proud to announce that our friends at Splashes of Hope will be honoring our own Frederick Mink, with their 2015 Man of the Year Award at their Annual Dinner Dance Fundraiser. 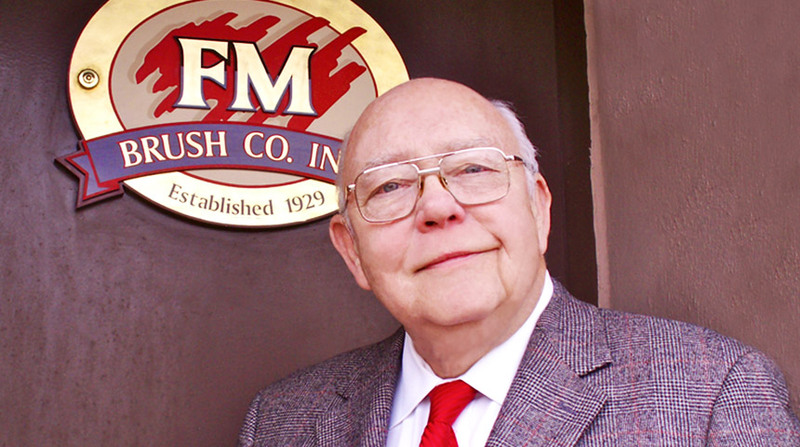 Fredrick Mink is the CEO of The FM Brush Company, the world’s premiere manufacturer of artist, cosmetic, craft, hobby and industrial brushes for over 85 years. FM Brush takes great pride in partnering with many organizations and associations that give their time, talent and love to create a better social consciousness around the world. This is why we are so honored to have Fred Mink recognized with such a special honor from this amazing organization. Their Annual Dinner Dance Fundraiser will be held on April 3oth, 2015 at: Land’s End, 80 Browns River Road, Sayville NY 11782. Splashes of Hope’s 2015 Young Splash Star, Ethan Chang! Splashes of Hope will also be honoring their 2015 Young Splash Star, Ethan Chang at their Annual Dinner Dance. Each year for their annual fundraiser, their board selects a child to honor who embodies the spirit of Splashes through joyfulness and creativity. Splashes of Hope met Ethan through the Make-A-Wish Foundation when they created murals for his bedroom in 2011. Since then, Ethan Frequently volunteers for them, helping put together our monkey puppet packets and has even ran a Lemonade Stand to raise money for Splashes. We are all looking forward to honoring Ethan and his family and celebrating the positive spirit he brings to Splashes of Hope! This years entertainment: The Gail Storm Band! The Splashes of Hope 2015 Dinner Dance Fundraiser will be a wonderful evening with entertainment from the Gail Storm band. Gail Storm is a New York based singer/songwriter/pianist who performs in NY as well as on the national and inter nation circuits. her blues styling’s embrace the root music she cherishes and provide a refreshing frame to other genres, such as classic jazz, pop, and original compositions. Please visit gailstormmusic.com to learn more.